Circa 1951-1959: The Harlequin pottery line was introduced in 1936 with 16 original shapes and after two strong years of sales, Woolworth's and Homer Laughlin expanded the line with nearly that many pieces again— this time fun and whimsy came with the cream soup. 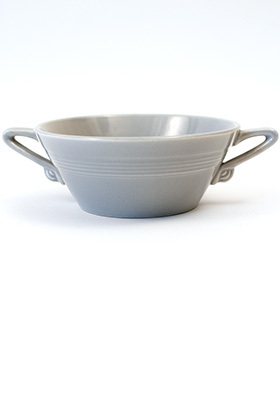 A daring and bold piece, full of art deco influences, with it's triangular handles and bands of concentric rings. Found in all twelve colors, but harder to find in the 50s colors of Gray, Dark Forest Green and Chartreuse, as the pottery line slowly lost it's popularity and less quantitites were made and sold. Measures a wide 6 3/4" from handle tip to tip x 2" tall. 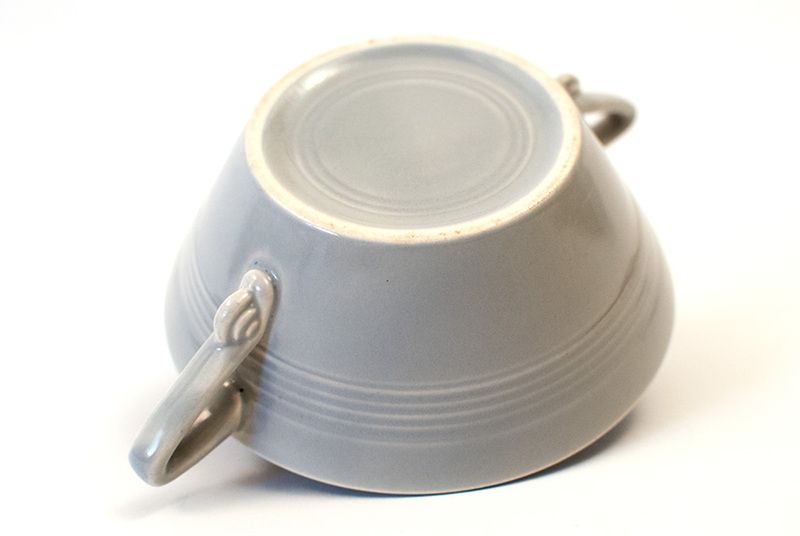 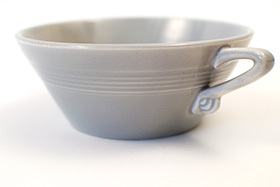 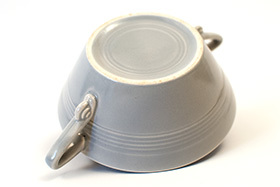 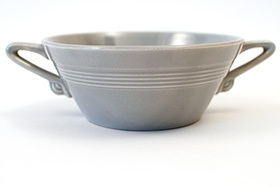 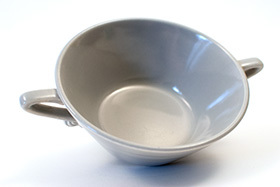 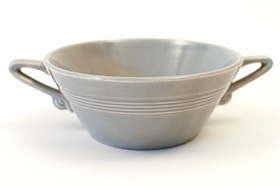 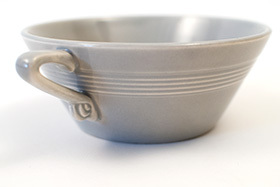 This example in the original Harlequin Gray glaze is in excellent condition without damage or signs of use.